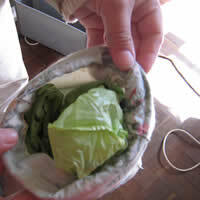 Use an old bit of fabric that you have lying around the house to make yourself a plastic bag dispenser for the kitchen. You can keep all your plastic bags in one place and re-use them instead of just throwing them out. Even though this is just a small start, we all need to make an active effort to help save the planet. 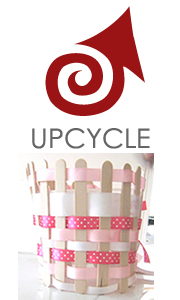 One piece of material 70cm in length and 50cm in width, or 2 pieces 70cm in length and 25cm in width. Cotton thread, the same or very similar colour to your material. 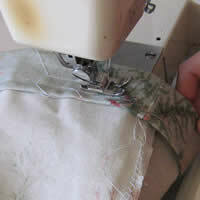 Cut out your fabric to the correct size, using the zig-zag stitch, or over-lock the edges. If you are using one piece instead of the two, you don't have to cut it smaller, you are just going to fold it and not sew the one side. 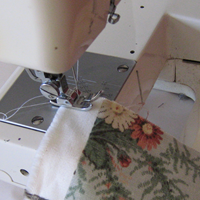 Change your sewing machine from zig-zag stitch to straight sewing. 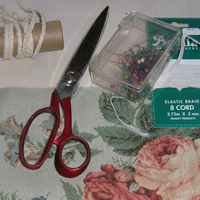 If using two pieces, sew them down the two long sides. 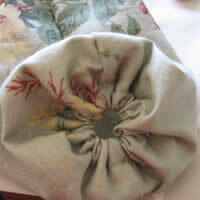 Make sure your fabric is facing inward and you are sewing on the 'wrong' side. 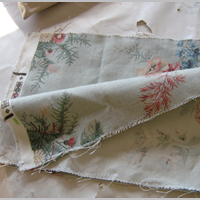 If you are using the single piece of fabric you need to fold the fabric lengthwise. You will only need to sew down the one side.  Turn up a small hem of about 1 cm on both sides of the tube you have just made. Turn the fabric to the inside. Straight sew this flat. Turn over and pin a 2.5 cm hem to the wrong side at the top and bottom. 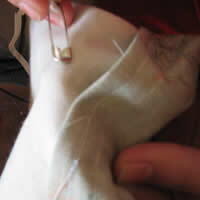 Machine stitch, leaving a 1.5 cm opening in both hems to thread the tape and elastic through. Back stitch. 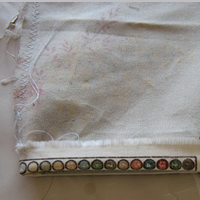 1 Thread the rope or ribbon through the top hem with a safety pin or bobkin to make a draw string top. Tie the ends of the rope firmly together. Thread the elastic through the bottom hem. Pull the elastic tight, until there is only a small opening in the bottom of the bag, then tie the ends of the elastic together and trim. Fill the bag with plastic bags from the side where the rope is. The bottom is the elasticated section where you pull the bags out from underneath.